Over the last week, the nation has mourned and grieved over the senseless loss of innocents at Sandy Hook. We've all responded to the grief in differing ways, I imagine. Upon hearing the news, work seemed insignificant to me. I wanted to embrace my loved ones and not let go (until both my kids squirmed out of my grasp with that, "What's gotten into you look" they've perfected). For those whom I couldn't embrace, I wanted to make sure they knew that I love them. Try as we might, we cannot always prevent or avoid tragedies. Should this be my last day, I want no love left unexpressed. Many people began espousing their positions over gun control. I took that as our human tendency to assign blame or seek ways in which this could have been prevented. My first response was to question whether it was too soon, and our emotions too raw, to have such a debate. But I realized that, for some, this satisfied their need to grieve. Grief, for many of us, involves the question of why and what could have been done. As for me and my family, we pray. Some have scoffed at this response and questioned its efficacy. They miss the point. The measure of successful prayer is the prayer itself. We pray not so that we'll see specific results, though specific results have happened. We pray for the necessary assurance and reminder that God is in control. During tragedies, loved ones grieve together and draw closer. That is God's desire for His children. As we pray for peace and comfort for the families who've been devastated, we don't need to know that their hearts have been touched to measure the success of prayer. The very act of prayer is success in itself for we've turned to our loving God for comfort. For those who don't believe in prayer, then I agree that, for you, prayer is fruitless. However, if you're at all interested, I'd by happy to share my thoughts (shocking, I know!). I'm sure I've read this verse in the past and just glossed over it. Subconsciously, I didn't want to believe that I wasn't in charge. To accept that leads to the question of what the point of my life is. Why do I bother with anything if God's purpose will ultimately prevail anyways? Thankfully, I can now find comfort in this verse. The illusion that my ways are the best (or only ways) is dispelled. Faith means more than just believing in God. Faith, as a disciple of Christ, means I can rest assured with the knowledge that God has the power, means, and desire to care for me. Faith means I can plan and do my best, but in the end, He will succeed. And by His success, I will be blessed. So, I ask each of you reading, does this verse comfort you? Or do you find it disconcerting? Are you more comfortable when you're in control or in knowing that God's purpose will ultimately and always prevail? The typical Cameroonian has little material wealth. Most farm and depend on the little income they get at market from their farmed goods for subsistence. Judged by their homes and outward appearances, Cameroonians appear impoverished. But spiritually, riches abound. They take great pride in their labors and farms. What they have was eagerly shared with us. Our lunches came straight from their fields. After a day of farming, they came to sing and dance with us to lift OUR spirits. On the last day we were in Lassin, to express their thanks, they gave us more food than we could carry on our car and van. We were outfitted with shirts and dresses out of fine cloth. These are the same people who may not have EVER purchased anything beyond food and material required for the farm. Lest you think I came back and gave away all of our possession and took to wearing sackcloth and eating locusts and honey.... Don't worry. My appetite is still plenty healthy for much more. What I did bring back, however, is a more acute sense of what's important. Like any gift from God, riches can be a blessing. We're not called to be poor, but we are warned to not cling to material wealth. Matt 13:22: Parable of the Seeds, "fell among the thorns is the man who hears the word, but the worries of this life and the deceitfulness of wealth choke it"
Have you ever greeted a stranger and, in return, received a look that seems to say, "Who are you and what do you want?" Maybe you've offered to help someone at the grocery store and been rebuffed. When I had first moved to New York, I was told to avoid eye contact when riding the subway. It's hard to wish someone a good morning or pleasant evening when they avoid looking at you. Perhaps people have good reason for cynicism. Maybe they've been hurt before. However, it's tragic to think that the very people who may need it the most miss out on simple blessings. I have no simple solutions for overcoming cynicism. I thought of writing a few bullets on overcoming distrust. But they felt forced. Maybe distrust is even warranted. However, I can't avoid the grief in thinking that pain begets pain. As we're hurt, we can tend to go deeper into our shell preventing others from walking with us toward healing. Last Saturday, we helped hundreds of families with food for the holidays. Each family was provided with three heavy bags of food. As we came alongside them with carts to ease their load, many rejected our efforts. Others wouldn't look us in the eyes -- likely caused by shame and pride. Still others tried to take more than their allowance -- a small battle they could win to maintain a sense of control. Food For Life from Crazy Cow Productions on Vimeo. My prayer this Thanksgiving is that more people will find it in their hearts to receive blessings. Only then will they see that God truly does work through his faithful disciples. I also pray that those called to serve do nothing to threaten the fragile trust we humans have in each other. True thanks come when we appreciate what we've received. The greatest thanks, however, come when we realize the blessings are undeserved and yet intended solely for us. A year and a half ago, I spent three weeks with God. While that sounds dramatic, it's the best way I can describe my experience in Cameroon. For most of the three weeks, we were in the remote (even by Cameroonian standards) village of Lassin without running water or electricity. When you wake up in the middle of the night, there's nothing to do but pray. For many hours over many nights, I talked with God. One recurring conversation was how I ended up there and why I went. I may never know God's purpose but mine became simpler and clearer with time: He called. Personally, I had nothing to gain and even less to offer. (Our project was to build the roof for a church. I was so ill-equipped I had to buy a hammer and tool belt.) There was no noble purpose in going. Many family and friends, even without voicing it, must have wondered whether I'd gone off the deep end and traveled such a distance while leaving Peggy and our kids. One of the struggles many Christian have is in discerning the will of God. Cameroon was the first and still clearest time where I knew, without a doubt, that's where God wanted me. 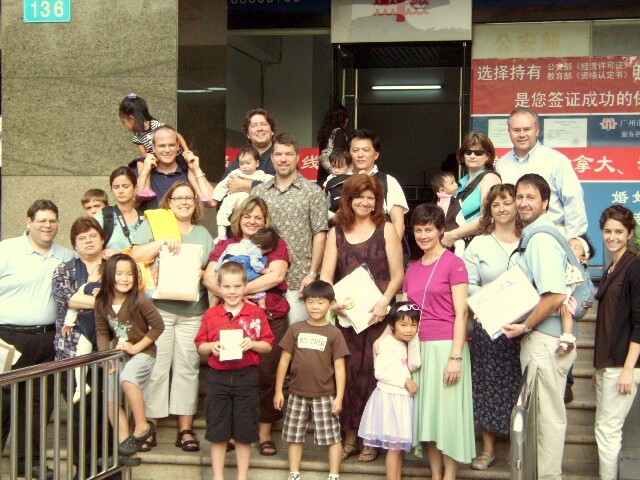 The villagers who had faced many struggles found joy in knowing the Americans (including the Asian "Jackie," as I was known there) had traveled many miles to serve God and them. Pastors traveled many miles on their scooters to join us in study, worship, and service. And, I need not deny, my heart danced knowing the Spirit was alive within me. Even as I write this, I'm frustrated by my inability to communicate the sheer joy in knowing that I was doing exactly what our Lord wanted. As my family and I prayerfully prepare our hearts for this wonderful opportunity, I ask that each of you join us in prayer. It's the day after elections. If the social media is an accurate reflection, you're either dancing with joy or dejected. This is true whether you're a Christian or not. But all believers, I offer this as a reminder of the context of this election to eternity. So for all my brothers and sisters in the faith out there, whether you're dancing with joy or dejected, let us keep your eyes up above. Let us honor and respect our Father's chosen. Let us continue to do His will and follow His commands to love Him, love others, and glory Him in all things. Our faith is imperfect: Let me be clear, there's no doubt in my mind that a loving God exists and all that the gospel assures us. At the same time, as an object of creation there are things that I cannot understand and there are trials that I still must face. To assume perfect faith in the face of those trials would lead me away from the only One who can get me through those trials. We cannot measure based on our works: The Epistle of James is clear that faith is more than mere thought or words. True faith would prompt us to act on the love of merciful savior. However, how we act and how that action looks will differ for each of us. For some, tremendous faith is required to get out of bed knowing the battles that await. For another, a long term mission in a foreign country was motivated by a desire to escape his circumstances rather than a servant's heart. More than a moment or occasional: Several years ago, I had Lasix to correct my eyes. Within minutes, I went from near legal blindness to 20/20 vision. Within days I was driving, walking and working with my new vision. In much the same way, our view of the world should be transformed. What we view, do, and understood should be through the lense of faith. So it affects our perspective, others can't see it and we never really get there so it's all relative, right? To each his/her own, right? Back to the truism, God knows. And, I believe, each of us know. Faith is our desire toward holiness, a deliberate choice to draw closer to God. So while it cannot be seen, it's obvious. Part of the obviousness comes from the totality of change. Beyond affecting what we do on Sundays or what we say before meals, faith affects how we spend scarce resources. When trials knock on our door, faith enables us to resist the urge to cower and answer the call. Faith means choosing and doing with no self-interest, out of obedience to His will. In a world full of darkness, faith is the beacon of light that would prompt someone travel to a distant land and love another with only the hope to they'll one day be greeted with the words, "Well done, good and faithful servant." For me, the measure of faith truly is relative, but not as you might think. I look to yesterday, today and tomorrow. My faith should be greater today than yesterday and draw me ever closer to God tomorrow. As my 9-year old has grown, I've learned, out of necessity, the right and wrong ways to lift him. If we're trying to get over a wall, the right way is to squat down and give him a boost. The wrong way, trying to pull him up the wall, would only succeed in pulling me back down. Whether we do it consciously or not, many Christians try to "help" people in the wrong way. We sit atop our metaphorical perches, believing we know better, and have the means to lift people higher. Believing we can "inspire" others, we hide our own mistakes and boast of our good deeds. The great commission was to first make disciples. Only then should we to teach them to obey. The only thing that seems to inspire is a desire to give us a swift kick in the...I digress. Not only does that tact fail, we, ourselves, fall into perhaps the most dangerous of sins: pride. In order to reach that perch on the wall, we use the very people we're trying to help as footstools. If we try to pull them up by force from above, we risk falling from the perch ourselves. Scripture teaches us to love and serve. Service means going to people's needs. Service means talking to the woman at the well and offering living water. Lifting people up means cleaning and bandaging their wounds even if they're our sworn enemies. We must not only be willing to dine with sinners, we must be prepared to wash their feet. Jesus himself came down from His heavenly throne to give us a boost. If we wish to lead people to the cross, we must give them a boost from below. "For all have sinned and fall short." By that, we relate and give glory. NOTE: I'd posted this late on 7/8 but was remiss in leaving off #4. Peggy's been out of town for 2 days, 15 hours, and 27 minutes. During that time, this is what I've realized. 1. I don't appreciate her nearly enough when she's home. Why is it that we (or just I?) have to be without to realize and appreciate what we have? Why is it so easy to take someone we love for granted? She effortlessly juggles cleaning, feeding, and teaching of 3 young ones (2 underage and one 40-ish). Just because she makes it seem effortless doesn't mean that it is effortless. I've walked 10 feet in her shoes...that's enough to know. 2. Her very presence is comforting. This morning, at church, Luke sat alone in Peg's darkened, empty classroom fight back the tears. His class is next door. He couldn't get through Sunday school without assurance that mommy's across the wall. 3. How can I be stern with the kids when mommy's not here to save, comfort and explain? One minute, I'm scolding and the next I'm speaking in gentle, calming tones. Poor Bella laughs when I raise my voice and cowers when I bend down for a hug. Luke just stays out of my way all together. At least we can all agree that I'm certifiable. 4. Our church (Valley Christian) is family. As soon as they heard that I would be alone with the kids, I received offers to help with the kids and invitations to dinner. This has been our church family for 16 months but it seems so much longer, mostly because of the comfort and love we feel here. The relationships are real and deep. This is what it means to live "in the light" (Eph 5:1,8). I pray that more will experience this love. Now Peg's been gone for 2 days, 15 hours, and 45 minutes. Despite how it may appear, I'm not complaining. In fact, I think it's good that mothers/wives have some time to themselves to recharge. It's a taste of "It's a Wonderful Life" for those who benefit from you. Hon, I can't wait for you to be home in 40 hours and 9 minutes. We love you. While I'd like to believe that my apologies are in line with #2 (i.e. repentance), I instinctively feel the need to explain why I did what I did. Most people who've been wronged wouldn't feel any better after receiving such an apology. After all, you've hurt them. Do they really want to hear why? Why do we apologize anyways? When we're taught to apologize as soon as we've been caught, we understand apologies to be a consequence. When we're caught, we apologize. If we don't apologize, the punishment will be more severe. Hence, our goal is to avoid getting caught. And, if we fail that, apologize so we suffer less punishment. With that in mind, it makes sense that we launch into a defense and justification. But inside, I think we all know that an apology should be less about justification and more about admitting error. Apologies should be less about us and more about the person who's been harmed. Whatever our intention, whatever our reason, our actions have caused harm. When we aplogize, our first and foremost thought should be to make that person whole. With our children, I no longer ask them to apologize. Rather, I'll ask them to make it right. That should include an apology but only as part of a larger act of making the harmed person whole. Physical or emotional, the wound must be bandaged. An emotional bandage requires an assurance that a lesson has been learned and the harm should not be repeated. For many, this may seem rudimentary. I would've thought so too. I pray that when I harm someone, I don't do further damage with an apology that smacks of self-preservation rather than wronging a right. For my children, I pray that I can be a godly example. "We never know the love of our parents for us until we have become parents." While the Reverend Beecher may have been speaking of earthly parents, my love and appreciation for our Heavenly Father has grown in breadth and depth since becoming a father myself. The analogy, I'm sure, has been made before, but I want to be careful and explicit when I make it here. In saying that seeing my children has helped me to better understand how our Father in heaven sees us, I want to be careful that I'm not equating myself to God in any way. However, I do believe there's something to be learned. In understanding how a lot relates to a little, I can catch a glimpse of how infinity relates to a lot. One of the great joys in parenting is receiving a compliment on our children. To be more accurate, there's joy when our children is complimented for traits we value. I can assure you that I'll be less than joyful to hear of our children's ingenuity in skirting rules (i.e. cheating). The reason for this joy is completely egotistical as we interpret (whether it's intended or not) the compliment is to our ability in transferring our values to our children. As Christians, we're God's ambassadors whether we like it or not. Even when we feel we've been judged unfairly, our reaction to that injustice reflects on our Father in heaven. When we are unnaturally loving and forgiving, God beams with joy (i.e. Glory!) as people have little choice but to credit Him. Through a combination of money from chores/jobs, reward for good grades and gift money, Luke purchased his own iPod. The satisfaction in having earned his new toy was clear on his face. A few minutes later, that joy turned into a celebration when he realized that we'd added a couple of $.99 games. Though we're happy to get the $99 we feel we deserve, it's that $1 we get for no good reason that puts us over the top. The "trick" then is realizing that the less we view as "merited", the greater the opportunity for grace-induced joy. One of the tenets in our home is that all choices have consequences. To reinforce this lesson, we've tried to consistently apply punishment when poor/bad choices are made. On occasion, when we've seen true regret, we've waived or shortened the punishment. The look of gladness and relief tells us that they get it and the lesson won't be forgotten. Some may wonder how I could get this far without talking the joys of seeing the world through children's eyes or celebrating all the milestones as our children mature. How can I write about being a father without talking more about my children. While there's certainly I treasure the opportunity to provide, protect and teach my children, I've realized that the greatest gift I can give them is a faithful walk with God. So what I love about being a father is that they've pushed me to be more faithful, which, in turn, has helped me to become a better father. Much of our worship is like a high school dance. I look around and decide forms that are comfortable to me. Should I raise my hands? Should my arms be stretched taut to the sky or more subtly as if cradling a baby? Dare I start swaying to the music or would that be too much like dancing!? Judging for comfort often means that I don't dare stand out too much. After all, there's a certain propriety that must be maintained, right? We should all be blessed to witness unbridled worship. A woman from our church is spending her summer serving in Kenya. Through her, we catch a glimpse of the freedom in Christ manifested in song and dance. Some may still question whether that form of worship is simply the norm in other cultures. But if you've experienced it, you get the sense that they've tuned out the world. Nobody is looking around to see if they're dancing to the same rhythm or if they're singing louder than their neighbors. Their only concern is communing with God. I share these thoughts not to be critical but out of grief. Until we've experienced this form of worship, we haven't fully experienced the freedom that was purchased on the Cross.